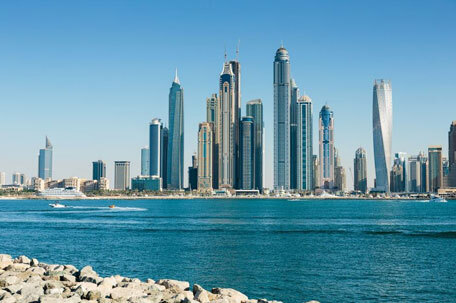 Dubai witnessed a 45 per cent increase in the number of transactions for off-plan properties in Q1, according to Chestertons. There was also a four per cent rise in the number of transactions for ready properties and a 25 per cent increase in overall transactional activity during that period. During 2016, there were 16,000 units added to the market, with a further 15,000 expected to be delivered in 2017. However, Gazivoda Vucinic is confident there will not be any oversupply issues – the realisation rate is increasing, from 30 per cent a few years ago to almost 45 to 50 per cent now. House rents dropped marginally in Q1. While average apartment rents dropped by one per cent across Dubai, properties in DIFC bucked the trend with a four per cent increase compared to Q4 2016. In Dubailand, rents fell by almost four per cent, with similar drops experienced in JLT and Remraam. Villa rents also fell by one per cent, with villas in Victory Heights (eight per cent) and The Springs (six per cent) experiencing the greatest drops. The Lakes saw rents increase by almost six per cent. Apartment sales prices have increased by three per cent on average during Q1, with properties in more affordable areas experiencing substantial price rises. Dubailand recorded an average increase of almost 20 per cent, from Dh760/sqft in Q4 2016 to Dh904.2/sqft; while Dubai Sports City climbed 15 per cent on average from Dh918/sqft to 1,053/sqft. In contrast, apartments in The Greens and JVT saw prices drop by an average of almost five per cent.